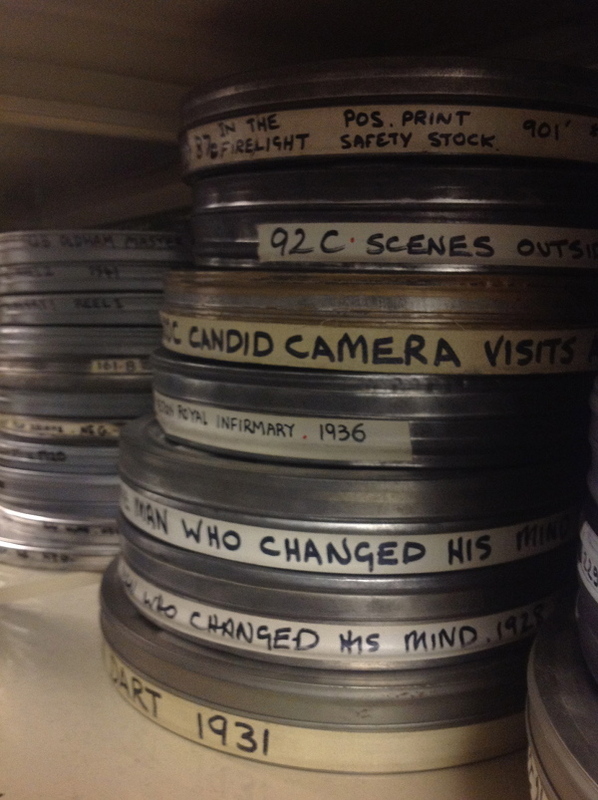 As part of our research and in preparation for the project launch event, a group of volunteers from the project went to The North West Film Archive in Manchester. Here we learnt about how The North West Film Archive preserves our local film heritage and how film is restored and stored. We were kindly given a tour of the archive and had the privilege of going into the film vaults to see where and how films are kept in all their different formats. 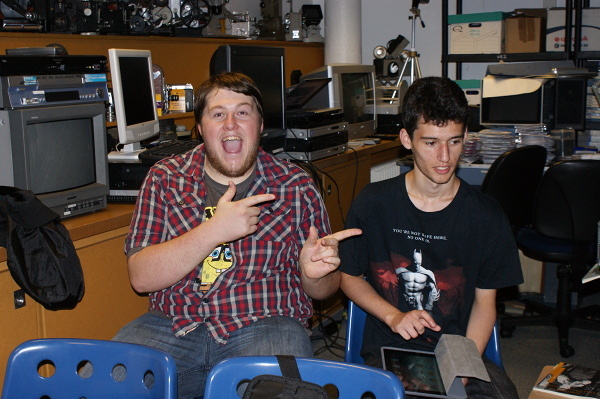 This image shows two of the project volunteers Johnno & Sean at The North West Film Archive.